This is the category to see a some of our more unusual and interesting projects. We use the Custom Projects Category to showcase the talent and creativity of our artisan craftspersons and to present our whimsical side. We want to show off our work and allow others to get ideas for their own custom made sign or plaque. 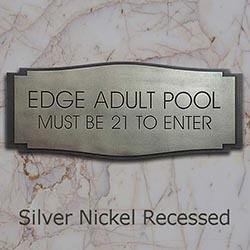 This page is filled with personalized signs that we created that do not fit well into any other of our categories. They might have special elements such as intentionally contrasting fonts, special borders, or one-of-a-kind features. There is only one thing in common with these signs and plaques – They started with an Idea. So here is a great idea, when you desire a sign or plaque that is a bit more unusual than you see, just email us with your thoughts and a receive a quotation faster than the light bulb to pop up in a bubble over your head. This entry was posted in CUSTOM Projects and tagged birds, custom, established signs, finished, metal coated, personalized on August 20, 2014 by AtlasSigns. With some real estate values finally on the upswing, Property Management Companies are responding to Condo Association Members and Home Owners Associations requests to upgrade properties with New Signage. Not at all surprising since we all want to put the best face on our homes and property. 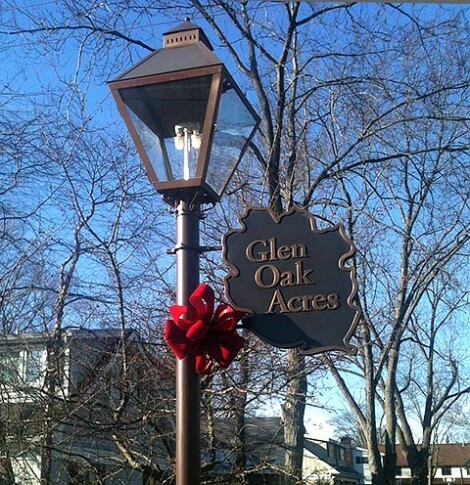 One of the best methods of increasing value and updating the property’s look is with new custom signage. 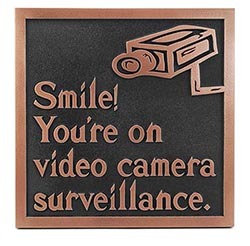 Signs are important to maintaining order and add a unique focus to Home Owner’s Associations. Property Identity Signs call attention to property and show property boundaries. Privacy signs for Condo Associations notify unwanted visitors of the policy regarding Solicitation and Trespassing. Wayfinding Signs for HOAs help visitors navigate the property. Informational Signage can show pool hours or advise about smoking policy. 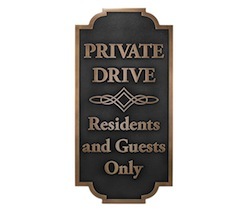 While Address Plaques identify individual units and common areas. It would normally seem daunting to put together a total complete cohesive package of coordinated signage for a Home Owner’s Association. Association Members and Property Management Companies know that Atlas Signs and Plaques makes the job easy while staying within the budget. 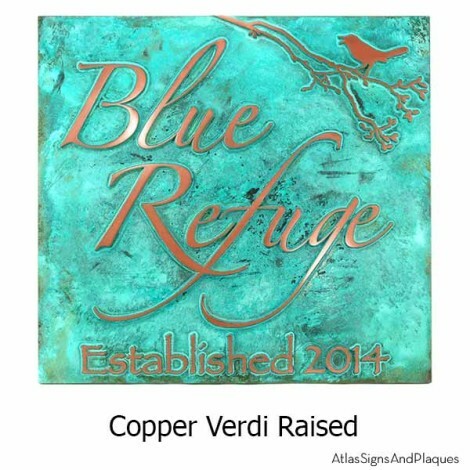 The signs are long lasting, beautiful, and have the rich look of real metal. 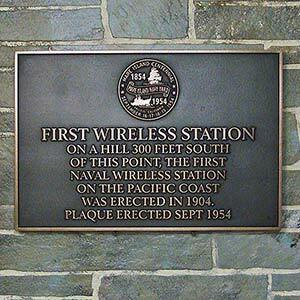 Visit Atlas Signs and Plaques to learn more. This entry was posted in CUSTOM Projects on April 3, 2013 by AtlasSigns. We admit it. Sometimes we forget to think of, and show the variety of places that utilize signage from Atlas. In this case we forgot museums. This is even more of an oversight because several of us here can’t walk be even the smallest museum without going in for a look. It seems like every little town has at least one. The American Alliance of Museums’ website really doesn’t give a number, but a popular web site says that there are 17,500 museums in the USA. Whew! and that doesn’t even count the growing number of virtual museums out there in cyberspace. 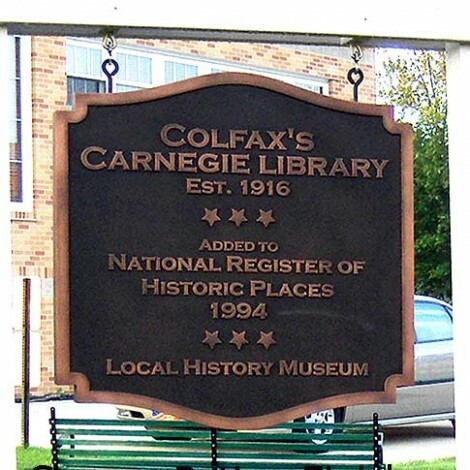 Any of the current online catalog of signs from Atlas Signs and Plaques can be adapted to museum signage. 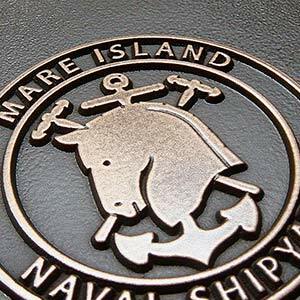 Inside or out, Atlas Signs and Plaques give the look of foundry-cast without design limitations, pollution, or expense of that dirty stinky foundry process. This entry was posted in CUSTOM Projects on September 24, 2012 by AtlasSigns. Every sign that Atlas Signs and Plaques has ever made is one of a kind. The extensive variables in our creation process (humidity, temperature, coloring, patina, etc) all work together to ensure no two signs are created quite the same. We love making signs here, but sometimes we just need a creative challenge—something to inspire our imagination and propel us towards the future. So when our head designer wanted to make a bracket for hanging signs, she also wanted it to be completely unique. What she came up with was an owl, perched on a branch over the sign. 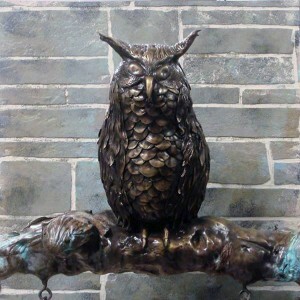 To bring this fantasy-owl to life she whipped up a batch of a clay-like substrate, hardened it, and then applied a patina to the mold. As you can see, the results speak for themselves. It has a great combination of fine details and overall structure. 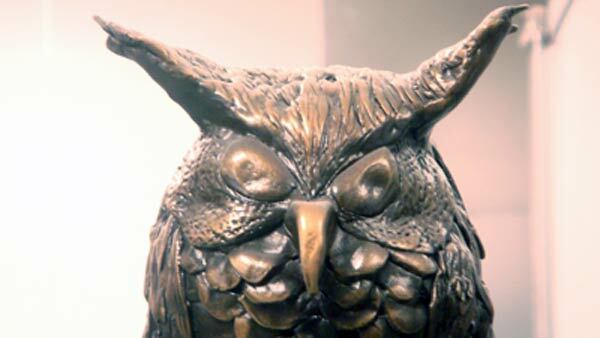 The feathers have a really awesome overlapping pattern, just like a real owl, and the slight exaggeration makes them stand out wonderfully. With two eyelets installed at the bottom of the “perch” this is the ideal bracket to hang a sign from. 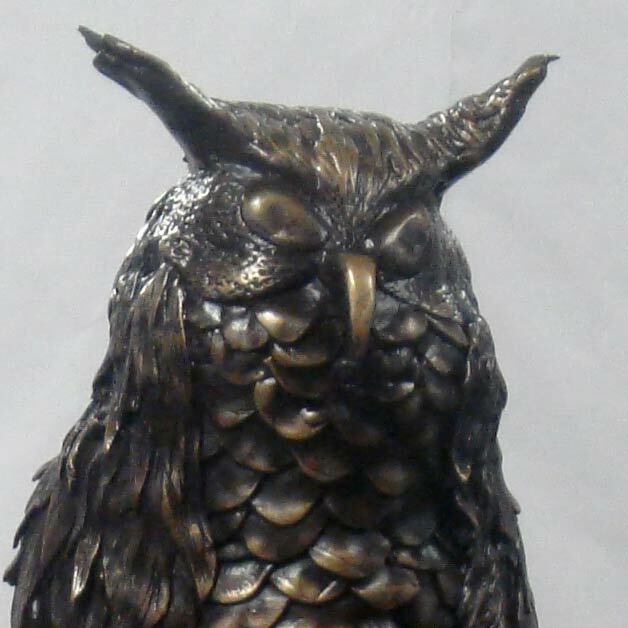 The success of the owl bracket encouraged the start of a new category on the CustomASaP website featuring one-of-a-kind sign brackets for sale, including the one you see here. You can find it under “Signs, Brackets, and Posts,” or Click Here. We will also be taking custom requests for personal sign brackets. You can contact us via email to begin an inquiry about how to create your own personal custom bracket. Because these brackets are difficult and time-consuming to make, it will take 6-8 weeks before any custom order for a bracket will be shipped. We know that seems like a long while; but we assure you that the wait is well worth the reward. You can find our new bracket page here, complete with further details on how to order your own one of a kind bracket. This entry was posted in CUSTOM Projects on September 16, 2012 by AtlasSigns. What a shame! 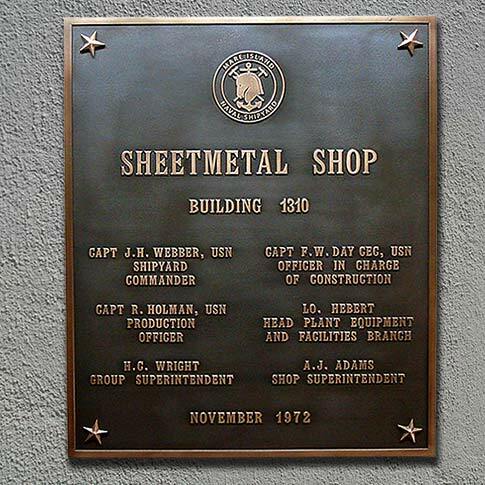 Often the loss of these plaques are devastating to those being honored by memorial plaques. Or, as in San Diego, the plaques can disappear from entire historic areas causing great financial hardship and loss of neighborhood identity. We wish we really had the solution that would end the thievery of important bronze and brass plaques. But, there are ways to foil the crooks. 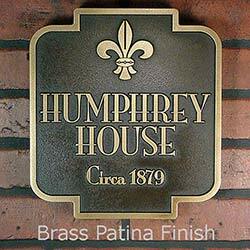 One solution is to utilize Historic Plaques from Atlas Signs and Plaques in the first place. The plaques have all the luster and beauty of foundry cast, but have a substrate of man-made material coated with real metal. 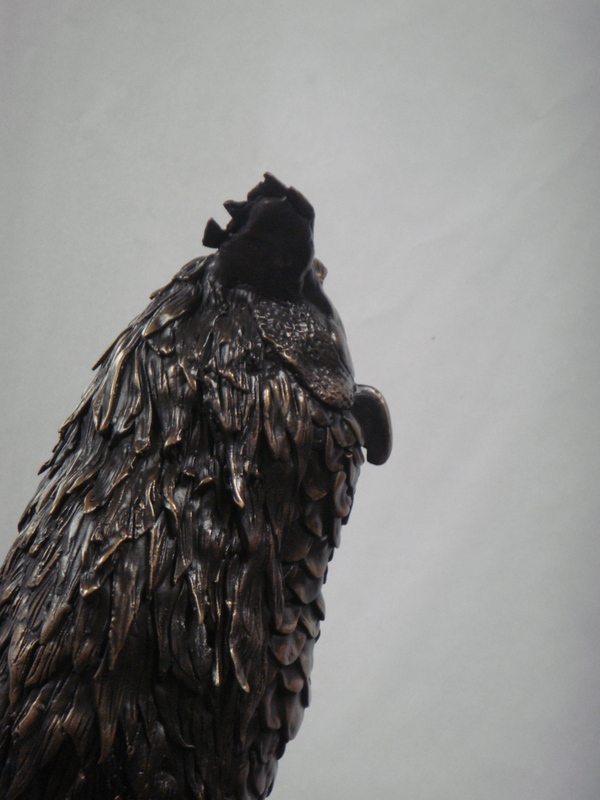 The plaques are long lasting, look grand, and cost only a fraction of foundry cast. The other solution to protect existing plaques by temporarily removing the valuable plaques to a safe site until the theft subsides or better security measure are put in place. Then, have Atlas Signs and Plaques duplicate the plaque which you will mount in the same area as the original. Atlas just did this for a client. It is perfect solution in a not so perfect world. We would love to have your comments on this subject. Just send us an email and we will likely publish your remarks. Help your friends out by “Tweeting” and “Liking” this post. This entry was posted in CUSTOM Projects and tagged bronze, crooks, navy, thieves on April 18, 2012 by AtlasSigns.